Sure, there's a faint resemblance between the Twins' franchise player (pictured left) and what the Vikings hope is their franchise quarterback. But in an eerie coincidence, Ponder donned jersey number 7 while at Florida State from 2006-2010. That's the very same number Joe Mauer not only wears now but would have worn had he accepted a scholarship offer to play college football as a QB at -- you guessed it -- Florida St.
Let's go back to 1959, with the then Kansas City Athletics hosting the Chicago White Sox in an April regular season game. This game is unique in the fact that the White Sox scored 11 runs in the top of the seventh inning while getting only one base hit. ONE. Meanwhile, the Athletics pitchers issued 10 walks and a hit batsman while their defense committed three errors. To run for President of the United States, one must meet only two criteria: 1) Be at least 35 years of age and 2) having been born in the U.S. That's it! Seems like one of the more simple vetting processes for any job. That's why it has always made ZERO sense to me that there were certain people who questioned President Barack Obama's legitimacy to hold the office of POTUS. Thankfully, this idiotic controversy of whether or not Obama was born in the U.S. has been put to rest. Confronting growing doubts that could undermine his re-election bid, President Barack Obama on Wednesday delivered an extraordinary rebuttal to those questioning whether he was born in the United States and eligible to hold office, producing a detailed birth certificate and pleading for a long "sideshow" to end. On TV, Obama said the issue was distraction from the important matters of the day: budget deficits and soaring gasoline prices. Please, Mr. President. Those are the very issues the GOP Presidential candidates (at least the serious ones) have always intended to hang around your neck. Besides, the President himself said recently that the "birther" issue would be a liability for the Republicans. If he really believed that were the case, why didn't he just let the speculation about his birth certificate run rampant? "We do not have time for this kind of silliness," Obama said in hurriedly announced appearance in the White House briefing room. "We've got better stuff to do." You won't hear me say this often, but I agree with President Obama. The fact is I have scores of reasons why he should not be re-elected and questions of his citizenship were never on the list. Speaking of a myriad of reasons why Obama should absolutely not be re-elected President, Hugh Hewitt lays out a very comprehensive list. Learn it. Know it. Live it. One might find that hard to believe in light of some rather grim outlooks regarding the American economy and its currency. In short, as trader Dennis Gartman noted Thursday, "the rout of the US dollar" is in full effect. "Panic dollar selling is setting in," Gartman, a hedge fund manager and author of "The Gartman Letter," wrote in his daily commentary. "This may carry farther than any of us dream of or, worse, have nightmares of." Rick Bensignor, chief market strategist at Dahlman Rose in New York, said the dollar index, which measures the greenback against a basket of select other global currencies, has scant technical support "that has any meaning" between its present level and the historical low of 70.70. I'm far from an economic guru, but that sounds pretty perilous. Why there's even speculation that America's standing as the world's top economic juggernaut will come to an end about the time the next Presidential term is concluding. The International Monetary Fund has just dropped a bombshell, and nobody noticed. For the first time, the international organization has set a date for the moment when the “Age of America” will end and the U.S. economy will be overtaken by that of China. And it’s a lot closer than you may think. According to the latest IMF official forecasts, China’s economy will surpass that of America in real terms in 2016 — just five years from now. Put that in your calendar. It provides a painful context for the budget wrangling taking place in Washington right now. It raises enormous questions about what the international security system is going to look like in just a handful of years. And it casts a deepening cloud over both the U.S. dollar and the giant Treasury market, which have been propped up for decades by their privileged status as the liabilities of the world’s hegemonic power. And said status is about to change, and no one seems to really care ---- especially those in Washington. There is now, according to S&P, "at least a one in three chance" that American debt will be downgraded from its top-notch status over the next two years – which would be a first in modern times. A New York Times/CBS News opinion poll has also suggested the US public is now more economically pessimistic than at any time since President Barack Obama's first two months in office in early 2009 – when the country was still caught in the "Great Recession". Amid renewed talk of a "jobless recovery", the number of Americans who think the economy has deteriorated spiked by 13 percentage points over the past month. Congress, meanwhile, is locked in a bitter dispute over the federal government's ability to make ends meet. By all means, read all three articles, especially if you think things are rough at this point in time. Now, as I mentioned at the outset, I feel fine in spite of all the dismal economic forecasts. Is it because I believe a Reagan-esque type President will be elected in 2012 and team with a GOP majority in Congress to implement......BWHAHAHAHAHAHAHAHA!!!! Darn! I almost got that out with a straight face. Fact is I have little to no faith in beltway politicians. The stupefying unwillingness to implement meaningful spending cuts in this time of economic turbulence isn't going to be overcome any time soon. After all, too many members of Congress (as well as President Barack Obama himself) have re-election campaigns to worry about. So why exactly do I feel fine? Simple. I believe what is says in the book of Matthew, chapter 6, verses 19 thru 21: "Do not store up for yourselves treasures on earth, where moths and vermin destroy, and where thieves break in and steal. But store up for yourselves treasures in heaven, where moths and vermin do not destroy, and where thieves do not break in and steal. For where your treasure is, there your heart will be also." Moths? Vermin? Thieves? Definitely words which can be used to describe today's politicians, no? In the Old Testament, God Himself lets you know that investing a mere 10% in His kingdom will be the best investment you could ever make. What I love most is He almost dares us to do this so He can prove it works. Malachi 3:10: "Bring the whole tithe into the storehouse, that there may be food in my house. Test me in this,” says the LORD Almighty, “and see if I will not throw open the floodgates of heaven and pour out so much blessing that there will not be room enough to store it." Sounds like an investment plan I can get behind!! I know one thing for certain: I've NEVER heard that kind of guarantee from a financial planner or stock broker. Have you ever wondered why we utilize eggs and a bunny in commemorating the resurrection of Jesus Christ? Comedian Jim Gaffigan contemplates said issue. How about a game from 1973, featuring the Oakland Athletics traveling to Anaheim to take on the California Angels? In this game, Hall of Famer Frank Robinson got his 1,000th hit as a member of an American League team. Having collected over 1,700 hits when playing in the National League, Robinson became the first player in MLB history to compile at least 1,000 base hits in each league. Check out Jason Lewis's new book Power Divided is Power Checked: The Argument for States' Rights, which is on sale now! My pal Katie Kieffer conducted an interview with Jason, who covered some excerpts of the book. Sounds like a must read! The NFL released its 2011 schedule Tuesday evening. As has been custom for about the past eight seasons, the Super Bowl champion will host the NFL's first regular season game, as the Green Bay Packers will welcome the New Orleans Saints to Lambeau Field on Thursday, September 8. Of course, given the current labor situation, it's far from a certainty that the NFL regular season will begin on time. Litigation-Lockout Haiku: Let us play, they say/Well how about agreeing/To a CBA? In another haiku, Aiello invokes the name of the Commish himself. Goodell Playing Schedule Haiku: "A great day for fans/We are doing all we can/To prepare to play." Well, I don't know about you, but I feel much better about things. What you've just said is one of the most insanely idiotic things I have ever heard. At no point in your rambling, incoherent response were you even close to anything that could be considered a rational thought. Everyone in this room is now dumber for having listened to it. I had a similar reaction to an opinion piece I read from someone named Blair Reynolds. Mr. Reynolds does not agree with the Twins' handling of All-Star catcher Joe Mauer, which is certainly his right. But it is also my prerogative to rebut his assertions. I was shopping for a new mattress last week. The clerk asked me what kind of firmness I like in a bed. I told him I like my bed to be like Joe Mauer; soft. To me, one being "soft" is different from one being injury prone. I interpret someone as being soft when they refuse to play with minor injuries. I don't recall Mauer himself ever showing a reluctance to play due to ailments which haven't landed him on the disabled list. Don't get me wrong, Mauer is a very gifted athlete who has won three batting titles and a MVP Award because he is a natural born hitter with great baseball instincts. However, until Twins Manager Ron Gardenhire decides to stop treating Mauer with the care of an infant, the Twins will remain an also-ran in the American League. When Mauer is in the lineup, the Twins are contenders. Without him they don't cut the mustard. His latest trip to the disabled list on April 14 is another example of how Mauer isn't as tough as his fellow Major League catchers. Since 2005, Mauer has the most plate appearances of any catcher in the major leagues. The same can also be said for Mauer since the 2008 season. Not sure how Mr. Reynolds defines "toughness" here but Mauer has answered the call the most amongst major league catchers for the vast majority of his career. 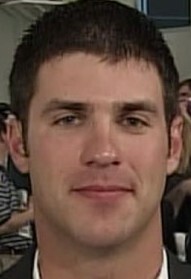 From 2005 thru 2010, Mauer has averaged 134 games played out of 162. Since an MLB regular season is about 26 weeks long, that means Mauer sits about one game per week. Like it or not, the Twins organization views this as the best course of action in maintaining the health of the cornerstone of the franchise. In fact, the last time Mauer was on the DL prior to this was 2009, when he missed the first 22 games of that season. He would go to play in 138 of the Twins' remaining 141 contests and win the American League MVP award. Again, if Mauer were "soft", I highly doubt he would be able to recover from a back surgery like he had prior to '09 and have the career year that he did. Mauer is often talked about in the same breath as Hall of Famer Johnny Bench. According to League statistics; Bench never played fewer than 142 games during his 20s. Mauer is averaging 133 games during that span. In fact the most games Mauer has ever played in a season is 146. So because Mauer averages one or two less games per month than what Bench played over the same period of his career, that means Mauer's status as a premier catcher is invalid? And let me save you the suspense: There aren't many catchers who are in prime of their career right now who can legitimately be compared to Bench. You can argue that Bench played in a different era, but that argument doesn't hold much water. Take Jorge Posada, a closer contemporary to Mauer than Bench. Posada averaged 139 games a season during his prime and he was a full-time catcher up until just a few seasons ago. Mauer also has a career batting average of .326, compared to Posada's .275. I guess I'm OK with Mauer playing one less game per month than Posada if it means adding 51 points to his batting average. Why does Gardenhire want to preserve a guy, when the time is now to win? Because he'd rather have a healthy Mauer in September and October. Look at Justin Morneau over the past four seasons. He's either worn down by the time Fall rolls around or isn't available to play at all, like in the past two postseasons. While the concussion Morneau suffered in July 2010 was a freak thing, the fact he averaged 159 games played from 2006 thru 2008 finally caught up with him in 2009, when it was learned he had stress fractures in his lower back. Ever since then, the Twins organization is committed to giving all its starters regular rest --- especially Mauer. No matter who initiates it, sitting Mauer is doing nothing but hurting the Twins. But playing him when he can barely put any weight on his left leg, thus weakening his hitting, would help the Twins? Like most MLB teams, the Twins carry only two catchers on the roster. If one is on the shelf for even four days, it puts the club in a vulnerable position when there's only one healthy catcher. What if that guy (in this case, Drew Butera) were to get dinged up? In this case, a 15-day stint on the DL is necessary for Mauer in order for the Twins to add another backstop to the roster. I don't argue for one second that a player making $23 million per season should be held to a higher standard. But that doesn't mean he shouldn't be allowed to recover from a knee ailment that has quite obviously hampered his entire game. Since this is the 20th anniversary season of the Minnesota Twins' last World Series title, let's go with a game from that wonderful '91 campaign. Future Hall of Famer (and current Minnesota Twin) Jim Thome made his major league debut on September 4, 1991 as a member of the Cleveland Indians. Playing against the Twins on this day, he struck out against lefthander David West in his first ever at-bat. Interesting to note that Thome played third base in this game. He's pretty much been a full time DH since 2006. Several months ago, I had a back-and-forth with a friend of mine (and fellow right-winger) regarding First Lady Michelle Obama's Let's Move! campaign. While I applaud the FLOTUS and her encouragement of kids to be healthier through a better diet and exercise, I will never acquiesce to Government's attempts to regulate what kids eat, specifically where school lunches are concerned (As it is, the Federal government should have ZERO involvement in public education, but that's a whole different topic). This is where my friend bashed his fellow conservatives, saying that childhood obesity is such a serious epidemic that the US Government should be given carte blanche to fix the problem, especially in schools. But as a fervent opponent of nanny state tactics, I simply explained that the onus is on the parents to monitor their child's diet and that if school lunch is so high in fat, then simply send your child to school with a "cold lunch." My buddy gave me the ol' "touché" on that point. However, at a certain public school in Chicago, they even want to control what food a student brings from home. "Who thinks the lunch is not good enough?" the seventh-grader shouted to his lunch mates in Spanish and English. Dozens of hands flew in the air and fellow students shouted along: "We should bring our own lunch! We should bring our own lunch! We should bring our own lunch!" Fernando waved his hand over the crowd and asked a visiting reporter: "Do you see the situation?" At his public school, Little Village Academy on Chicago's West Side, students are not allowed to pack lunches from home. Unless they have a medical excuse, they must eat the food served in the cafeteria. Whoa, whoa, whoa! Since when has that been the primary responsibility of a school administrator? Did I miss something here? A Chicago Public Schools spokeswoman said she could not say how many schools prohibit packed lunches and that decision is left to the judgment of the principals. "While there is no formal policy, principals use common sense judgment based on their individual school environments," Monique Bond wrote in an email. "In this case, this principal is encouraging the healthier choices and attempting to make an impact that extends beyond the classroom." Is it just me or does it seem incredibly arrogant for school principals to declare themselves the moral authority on a kid's diet? What exactly qualifies them to determine what is the "healthier choice?" While I don't deny that some children are not the beneficiaries of a healthy diet, I'll never accept the premise that a public school system should be the authority in that area. Just another example of "The Chicago Way" perhaps? Baseball Hall of Fame inductee Bert Blyleven celebrated his 60th birthday this past week. As such, I've decided to pay homage to Bert by pointing you to this box score during Blyleven's first stint with the Minnesota Twins. This box score from May 1976 represented the final start for Bert Blyleven is his first stint with the Twins (Blyleven would eventually be traded back to the Twins from Cleveland in July 1985). He would be traded the following day to the Texas Rangers. As Blyleven left this game after recording the final out of the ninth inning, he proceeded to flip his middle finger towards some fans behind the first base dugout who were singing "Bye Bye, Bertie." ......that grade school aged kids from Kenya were eligible to serve the USA in World War II? Apparently Barack Obama, Sr. (born in 1936) is a WWII vet! Who knew? 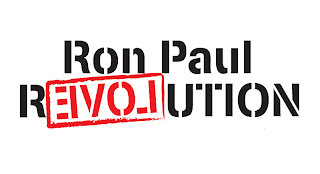 No, I am NOT a Ron Paul supporter. But in the highly unlikely event he would score the GOP nomination for President in 2012 (that is if he even decides to run), I would definitely advocate for Paul over the White House's current occupant. I refuse to be like the thumb-sucking Paul supporters in 2008 who pitched a fit over a moderate Republican (Sen. John McCain) getting the nod. As such, a fair number of conservative/libertarian voters either stayed home or voted for a third-party candidate. If Paul himself wants to make any traction whatsoever in a Presidential race, he'll quickly distance himself from a certain renegade crackpot who used to be governor of my state. Add Jesse Ventura to the list of Minnesota politicos weighing 2012 bids for the White House. The former governor told Good Morning America this morning that he would "give great consideration" to being U.S. Rep. Ron Paul's running mate if he ran as an independent. A Paul-Ventura ticket? Yeah, I'll pass. If we really think about our lives as children, we can often conjure up certain "landmarks" and defining moments which shaped who we are today. Not having a father-figure present since I was about three years old could have been a severe detriment had I allowed it to be such. I also have to credit my mom in that she never denigrated my father's name despite his abandonment. Today I reunited with some acquaintances from the apartment complex where I lived from age 6 until 17. All of us were in the same boat growing up, as we were raised by single moms while having little to no communication with our respective fathers. The apartments themselves were so cramped that the bedroom square-footage was the smallest allowable by law. But as kids we didn't see this as any major inconvenience. After all, none of us knew any other way of life. I guess that's why when my family moved to a three-bedroom townhouse in 1986, it was like the Taj Mahal to us. Anyhow, it was great catching up with my old friends, as we basically laughed (very loudly, much to the chagrin of the other restaurant patrons), cried and shared anecdotes for four hours straight. While the memories of such a humble upbringing weren't always pleasurable, it did help us to realize how we were all fortunate to become the productive members of society we are today. Sure, life hasn't been perfect but we've been spared some potentially horrible fates. Unfortunately, some of our other peers from back in the day weren't so lucky. We shared stories of those who did jail time because of drug use and/or domestic violence. Worse yet, some even suffered an untimely death. To this day, very few of us ever drive by the old neighborhood anymore due to its deterioration over the years. Nevertheless, the life lessons we compiled while there will always play a part in our everyday lives. Since yesterday was Opening Day of the Major League Baseball season, why not select a box score from a previous opener? Red Sox - Tigers from 1986. Tigers pitcher Jack Morris delivered the very first pitch of the 1986 regular season. Red Sox leadoff hitter Dwight Evans deposited said pitch into the left center field seats for a home run.